While cooling her heels in Federal Prison, Selena finds herself an unwilling pawn in a deadly game played by powers beyond her understanding. Her enemies aren’t finished hurting her. Selena is completely under their control and subjected to the most cruel form of punishment known to the Federal Prison System. But when presented with an unexpected opportunity to right old wrongs, Selena chooses her own way—and to hell with the powers that be. As her course twists and turns, Selena takes on the unlikeliest ally of all. She enlists hell’s own soldier as she commands her reckoning against her true enemies. 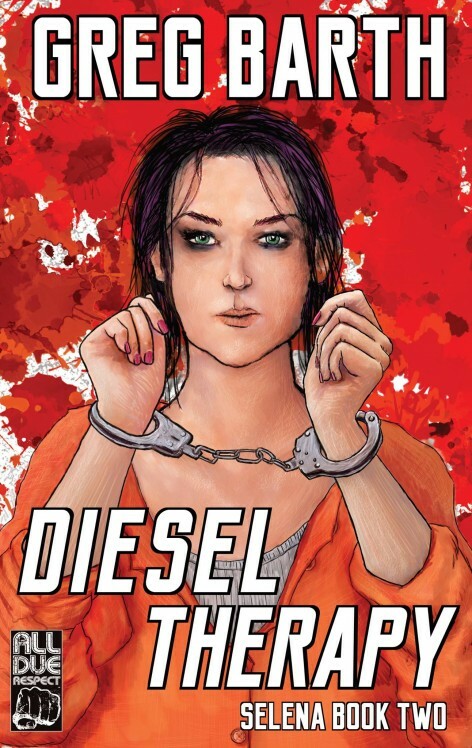 Diesel Therapy is the second book in the Selena series. Greg Barth is the author of BONA FIDE JOBS, WHERE MOTH AND RUST CORRUPT, as well as SELENA and two upcoming follow-ups, DIESEL THERAPY and SUICIDE LOUNGE. He lives and writes in Bowling Green, KY.